Shelter dogs often don't know the same luxuries that pets with loving homes receive. When dogs have spent long periods of time in a shelter, they may not know about special treats and toys. But one TV show host is changing that, one dog at a time. 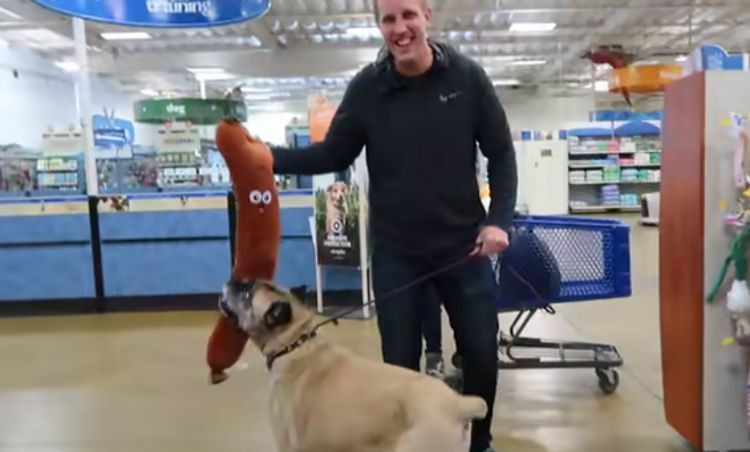 Rocky Kanaka, host of "Dog's Day Out," has made a habit of taking a shelter dog out for a special day. He takes dogs on adventures, films their time together and uses the show to help those dogs find new homes. One of Kanaka's newest adventures is to take a dog to a pet store and buy it everything it touches. That's just what Kanaka did with a special needs dog named Freddie Mercury. Freddie Mercury had been found abandoned in a pile of trash. Her two sets of teeth made it difficult for her to eat, and she had multiple broken bones. 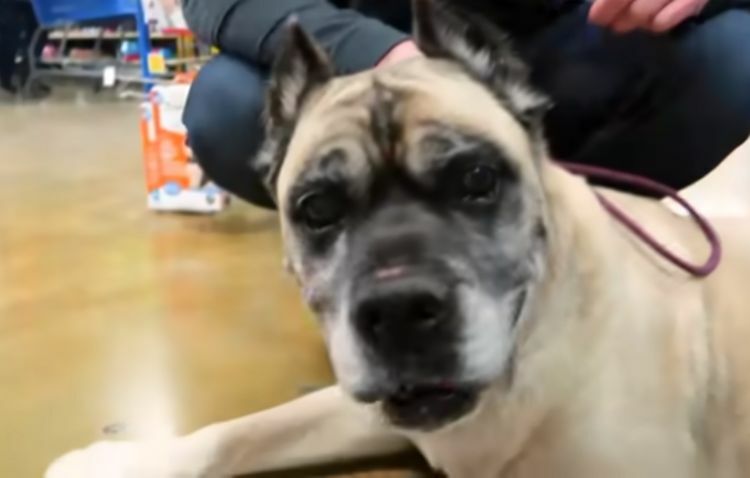 Thankfully, rescuers got Freddie Mercury the veterinary care she needed, and rescue group Marley's Mutts took in the dog. 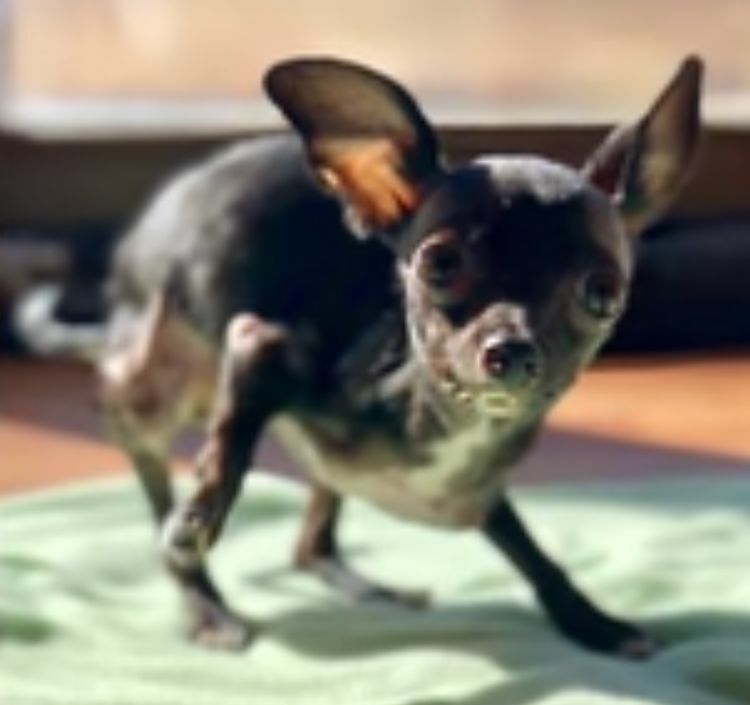 Kanaka took Freddie Mercury on a shopping spree after her foster mom, Angela, offered to adopt the little dog. The shopping spree was a celebratory occasion. Because Freddie Mercury had already been adopted, Kanaka decided to take another dog along. 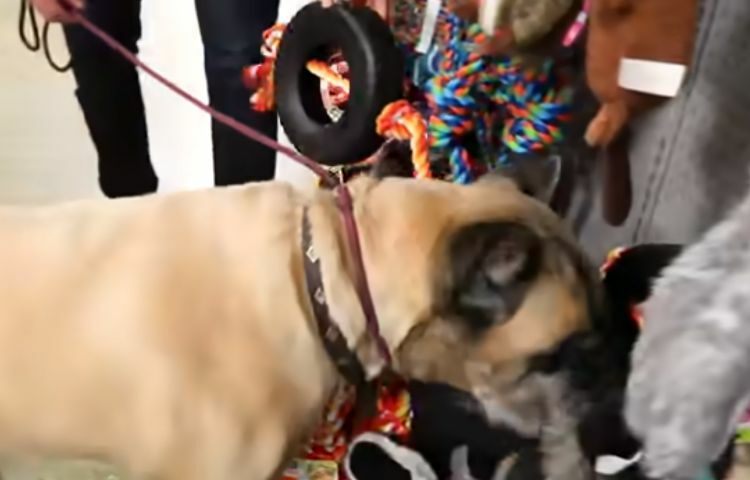 Bosco, a senior shelter dog, was more than happy to help pick out items. 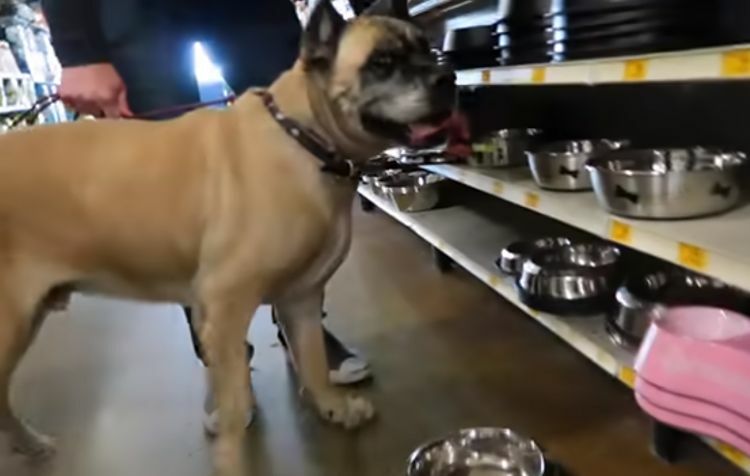 Freddie Mercury has difficulty walking, so Bosco did most of the shopping and picked out out lots of treats and toys. 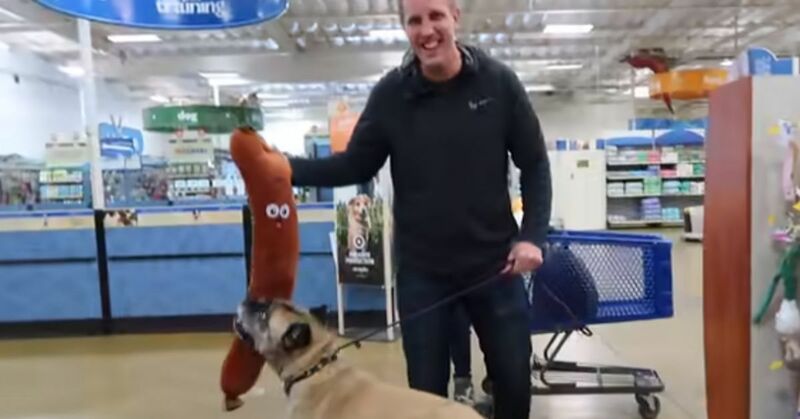 His favorite toy, though, was a giant stuffed sausage. Bosco picked out plenty of other good items, too, including food bowls for himself. He also selected a pink bowl just for Freddie Mercury. And, of course, some more toys were added to the cart. The day culminated with some puppuccinos and a trip to the park. Both Freddie Mercury and Bosco seemed to have a wonderful time. Freddie Mercury gained some new supplies to take to her adoptive home, and Bosco enjoyed a wonderful day out of the shelter. 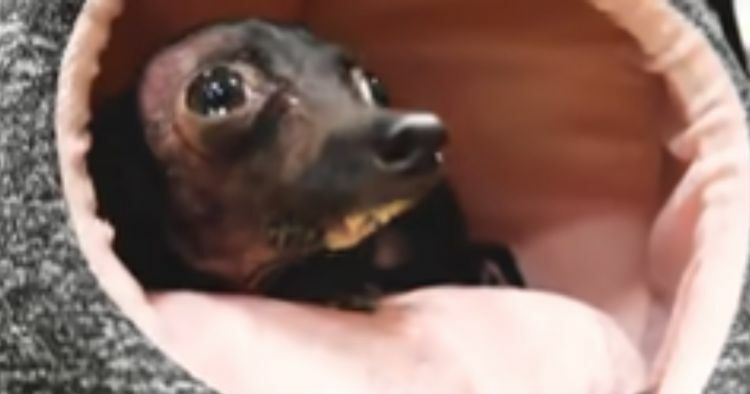 Hopefully Bosco's inclusion on this episode of the show will encourage someone to adopt this adorable dog. Kanaka allows viewers to get to know dogs' personalities by having them on his show. It just may be the difference between a dog finding a home or him spending more time in a shelter.